So, here's my contingency plan, as well as a national call to action. First things first, alert the masses. Whooop! Whooop! Whooop! May I have your attention, please. There is an activated alert in effect to inform all those within the sight of these words- Friday, September 1, 2017 is officially recognized as National Lazy Mom's Day! 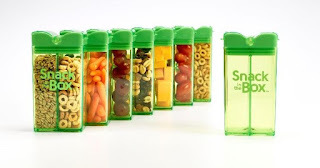 Recommended survival kit items are listed below, with an average per person ration for a single, solitary, supreme mother-figure individual strongly advised. Apocalypse preppers- secure the premises and shelter accordingly. We're powering down. Read this now, prepare as necessary, then do absolutely nothing later, even if only in our dreams. We're sharing survival guide essentials, National Lazy Mom's Day style! Thank you to the marketing teams from the listed brands for the courtesy of sponsoring this feature with promotional products for editorial content purposes. Mother's Day was ever so lovely with breakfast served to (some of) us in bed, darling floral arrangements from the local florist or the teacher's brilliant supply of construction paper, and of course the jewelry- made of precious diamonds, beads, cereal, dreams. How long ago was that? The past few months of year-end school celebration, summer's family vacations, activities, and just days, then back-to-school planning challenge us as mother's to go above and beyond the basics on behalf of our beloved families. Whether you are proud to admit to being a lazy mom (somebody's gotta do it! 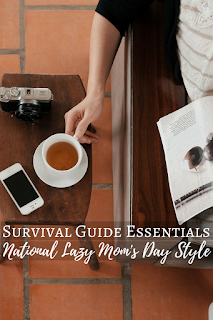 ), threaten to become a lazy mom (just for the day), or opt to allow a mom to enjoy celebrating National Lazy Mom’s Day, these ideas are spot on for helping moms to take a little break while occupying the kiddos. STEM learning is your friend in addition to being a very important educational foundation for little learners. Learning Resources' Gears! Gears! 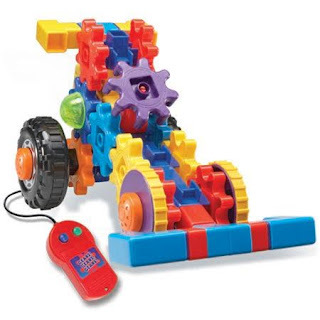 Gears!® Motorized On the Move Building Set allows the curious minds of kids ages 4 and up to create their own unique vehicles. Each of the pieces are compatible with other Gears! sets for additional building experiences. 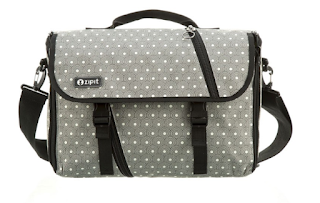 My kids are longtime fans of ZIPIT products, I absolutely adore the style and versatility of the ZIPIT Reversible Messenger Bag. Kudos to the mastermind responsible for designing this easily reversible bag, eliminating the need to swap out bags. Simply flipping the bag to the trendy design on the inside, we're rocking a new look. 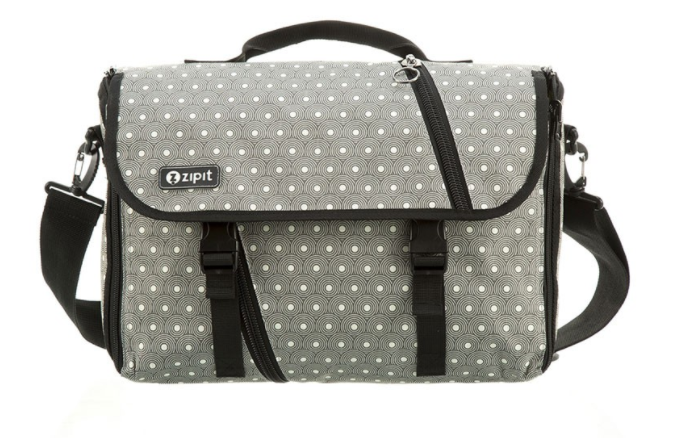 Featuring a built-in padded laptop case and lots of storage for all of your items, there's also a lifetime warranty. Bathtime can be extended into a little extra playtime with SoapSox. Friendly and fun, these plush, antimicrobial soap pockets are a sudsy good time, in addition to functioning as their soap and washcloth for washing from head-to-toe. Charlotte the Seal has saved the day in our home with a few extra minutes of quiet time when I really needed an extra hand! Our kitchen floor has been mapped out with InRoad Toys PlayTape for over a year! 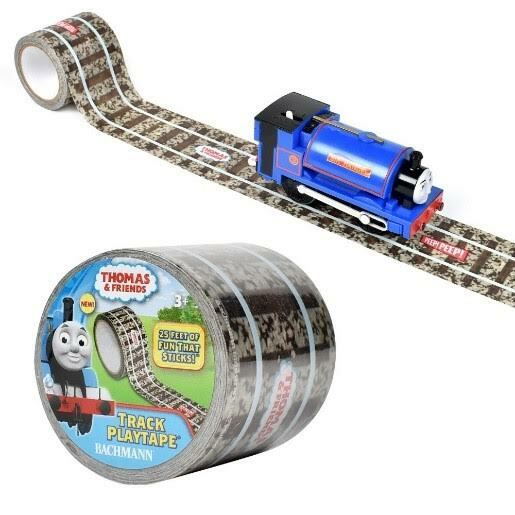 No featuring cool designs of Hotwheels PlayTape and Thomas & Friends Track PlayTape, kids are entertained with cars, trains, and imaginative play without screentime, charging up or batteries. Easily repositionable and removable, we've never worried about leaving mess or sticky residue on surfaces when it's time to clean up. Marcus & Marcus encourage self-sufficiency during mealtimes for little learners. Eating meals on the Amusemat, designed with picky eaters in mind, sectioned areas hold a little bit of this and a little bit of that. Divided areas prevent food from touching or mixing (the horror!) 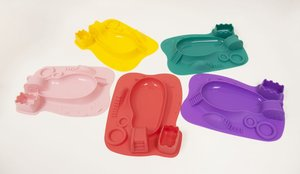 and encourages self-feeding of finger foods and utensil feeding. Precidio Design and their Snack in the Box, really know my style. Here's your morning snack, here's your afternoon snack, my job is done. With conveniently divided Tritan chambers each easily dispensed, the brightly colored container available in blue, pink, orange, green, and purple are fun to store snacks at-home and on-the-go.